Yes, where ever there is Data involved, it’s important to talk about security of data. Data security is the practice of keeping data protected from corruption and unauthorized access. 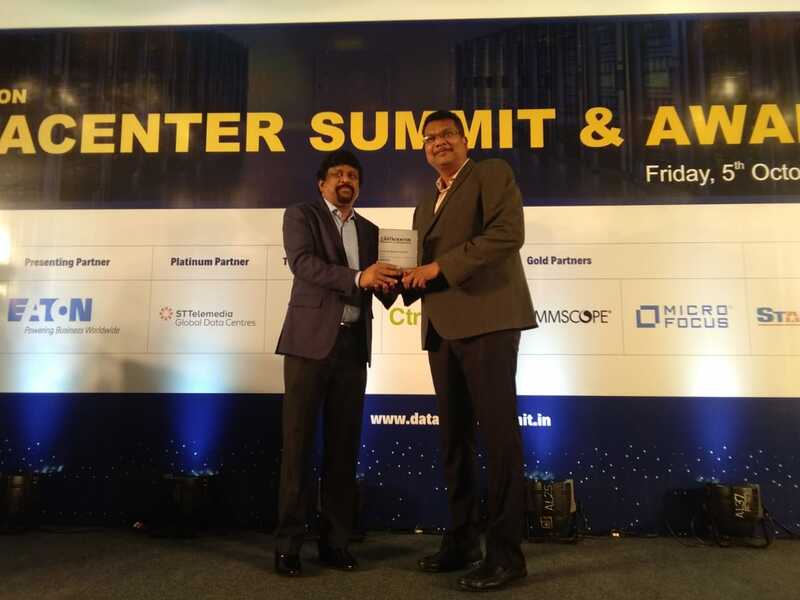 DataCenter Summit and Awards is India’s largest, most influential gathering of industry expertise to discuss the evolving landscapes of datacenters and to keep them more relevant to the changing needs. With 450+ Delegates, 93+ Speakers, 50+ partners & 45+ Keynote Sessions, it’s bound to be a big event. At Rediff.com we handle 300M+ mails daily that sums to 6+ PB of data storage. With 24x7x365 data & network monitoring, it is crucial that we give our best to Security. Venkata Satish Guttula, Director – Security, Rediff.com India Ltd having 12+ experience in the field of Cyber Security has incorporated & manages many tools to protect emails & data at Rediff.com; tools for: Encrypted email transmission, Vulnerability Detection System, Advanced Threat Protection (ATP) & Data Leak Protection (DLP) & more. 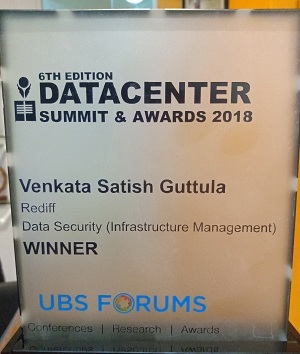 He has won an award under the category Data Security (Infrastructure Engagement) at the DataCenter Summit and Awards 2018.